Writing your name is the first thing that you learn to write and also the most exciting word when you are young! You quickly learn writing that your name can show ownership, it can show position and power! My son enjoys writing his name on everything now, it’s his claim to fame…he has not yet realised it can also get you in trouble when you write it on the toilet door as you are admitting who wrote it in the first place! 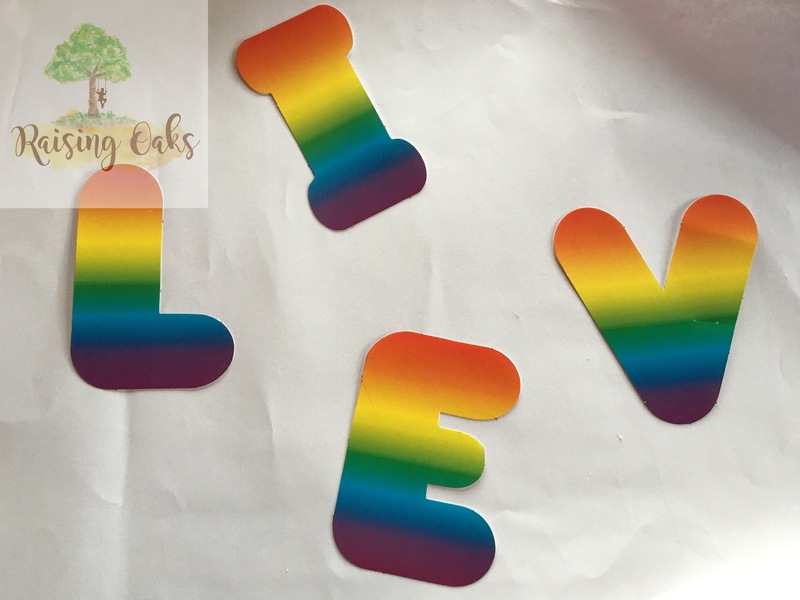 There are so many great ways to learn to write your name out there I have put together five hands on, fun activities to try with your child! I have also focused on quick and easy activities using things that you have in your home. 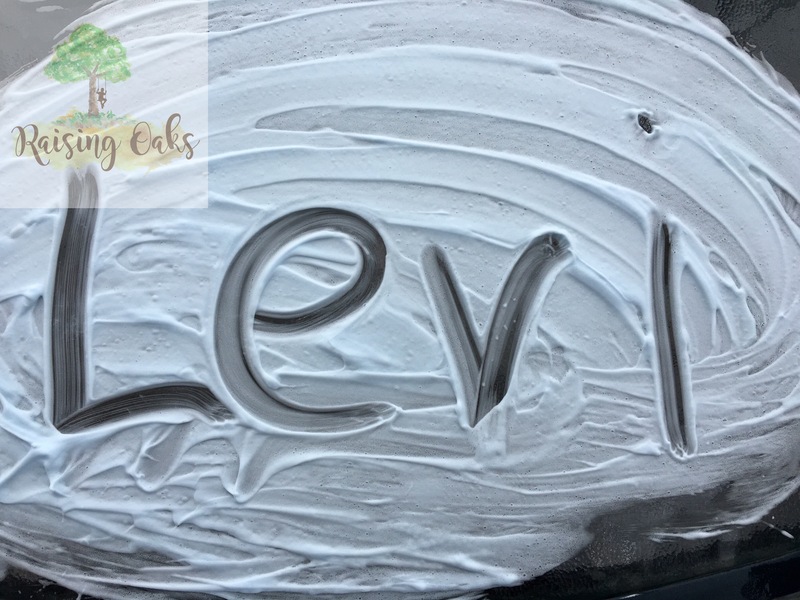 Using a table spread shaving foam all over the table and show your child how they can write their name with their finger. They can write any letters they know and then wipe them away! Draw some pictures together too this is all helpful in the writing process. 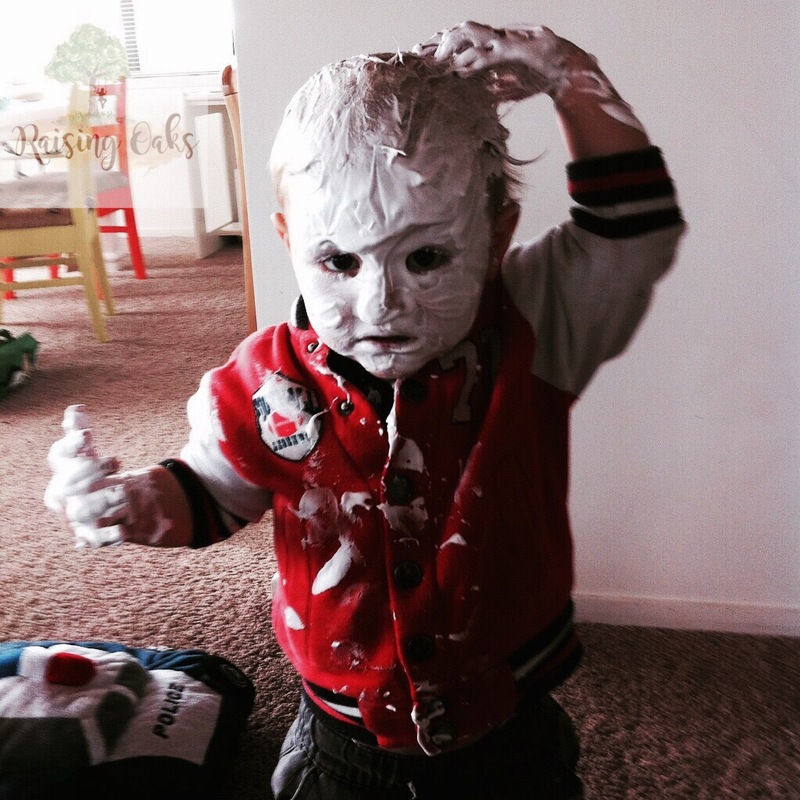 This was my winning as a parent moment… Levi needed help getting changed and Louis had a turn with the shaving foam! He wanted to learn to write too! 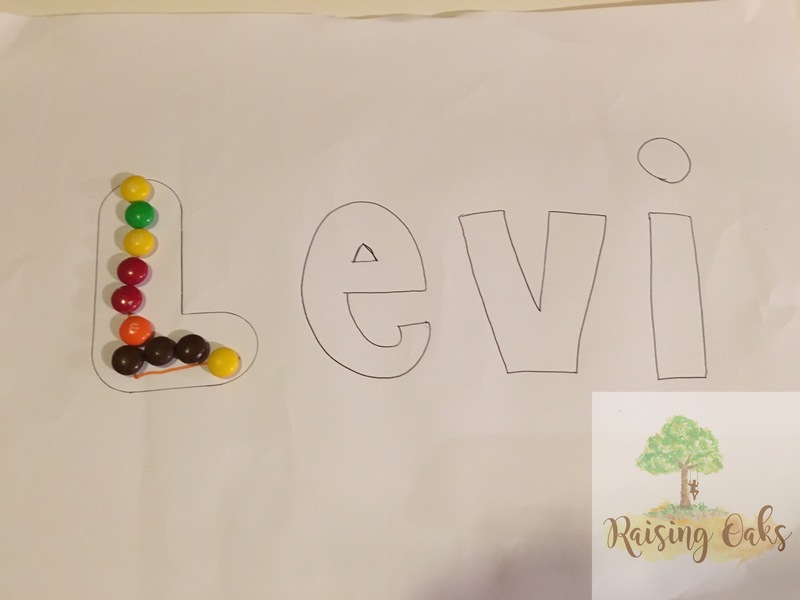 Ask your child to put the letters of their name in order. You can also use magnetic letters on your fridge for this. Make names using playdough! This can be with store bought or home-made! I will attach a playdough recipe which makes lovely warm playdough. This is something students do in school, it is where you write their name remembering to plot where they should start their letters and what direction they need to go. They do this many times to create a rainbow effect. A great practise activity. So give them a go I’d love to hear how these went for you and your acorns!